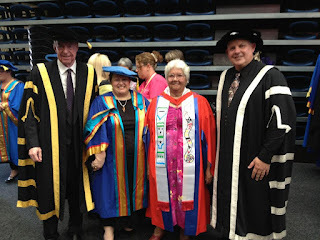 Graduations are most certainly a family affair, and sometimes we get to witness two generations of a family graduating on the same day. 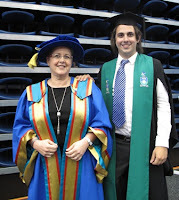 This is staff member and Phd graduate Judith Applegarth with son Sam, who graduated with a Bachelor of Engineering (Mechanical) (Co-op) with Honours at the CQUni Rockhampton graduation yesterday. 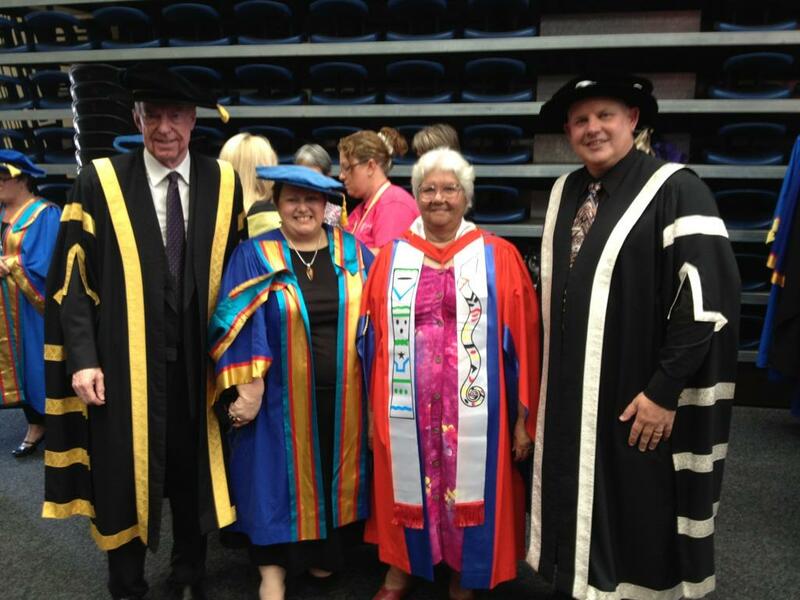 A special mention should also go to Aunty Judith Tatow who was awarded the honorary degree of Doctor of the University in recognition of a lifetime of community service in both the Indigenous and non-Indigenous communities.